Microseconds count. Get fast. Get Fastly. We're the smartest CDN on the planet. That means microsecond response. Why you need a CDN? A Content Delivery Network (or Content Distribution Network) is a system of strategically positioned servers around the globe. These servers maintain and accelerate your content. The main goals of a CDN are about speed, scalability and high-availability. A request from a user will always be routed to the nearest point of presence (POP).  User’s distance to these servers has an impact on loading time. A closer and highly performing POP will significantly improve user experience as a result of reduced loading time, lower latency and minimized package loss. A Content Delivery Network will also cut the operational cost and makes it easy to scale seamlessly without extra effort. We supercharge your content delivery whether it’s a game, software or any other web data. With the increasing importance of delivering digital media as quickly as possible, many customers are looking into how a Content Delivery Network (CDN) might benefit their project. The streaming media industry has exploded, serving content to a global audience; consider Netflix, YouTube, Spotify, and Pandora. At NTSPL Hosting, we aim to ensure that our customers have access to top-of-line services for any need they may have. This is why our Data Center partner Liquid Web have partnered with the world’s largest and most experienced CDN, the Akamai Intelligent Platform, effectively giving our customers the ability to increase global reach over 2,000 percent further than any previously available option.